Many of us work at companies where leadership truly values employees and sees them as the company’s most critical investment. While many companies make a bold statement about this in their talent acquisition efforts, once candidates are converted to employees, there can be push back on the costs associated with learning and development (L&D) programs. Enter new digital training opportunities. With these evolving offerings, many HR teams have learned how to utilize digital or online training for cost containment, but also for speed, ease, and the ROI gains that investing in continuous learning programs for employees yield. While we do need to take advantage of these online opportunities, we also recognize that there are still justifiable reasons to offer classroom style in-person training. Digital transformation in L&D gives us a reason to revisit the basics of our continuous learning programs. How can you create programs employees not only accept, but clamor for? What do employees really need and want to learn? Where is your business lacking certain skills? And, how can you best leverage new and existing tools to meet your company’s needs? For most of us, a balance between traditional and digital will remain important – to keep employees learning and to keep them engaged! Why Does L&D Have a Bad Reputation? Traditional L&D programs tend to focus on career progression, promotion and climbing the corporate ladder. And typically, employees have viewed L&D sessions as something extra to complete on top of existing workloads. 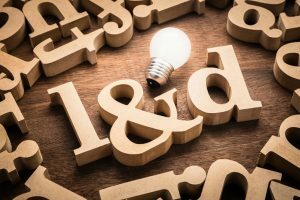 To make L&D more sought after, we need to gauge how employees perceive current offerings and investigate any negative perceptions. While 68% of employees prefer to learn at work versus online, too many employees struggle to find the time to fully engage in programs, even those they love. According to LinkedIn’s Workplace Learning Report, getting employees to make time for learning was the #1 challenge with talent development last year. In fact, 80% of senior business executives believe emerging digital technologies will change the nature of work and human-centric skills i.e. communication, problem-solving and flexibility will be most important skills needed to succeed in the future. While technology evolves, L&D programs also need to evolve in order to help employees work on these soft skills and ultimately get ahead. Organizations need to offer L&D programs, whether only traditional, providing all digital/online resources, or a mix of both – but no program is successful unless engagement can be measured and feedback is captured to constantly improve the process. As 58% of employees prefer to learn at their own pace, digital methods provide an opportunity to offer shorter training. For example, “microlearning” – or sessions in small, bite-sized time increments that can be managed into a workday – are a good alternative or offset to longer or all-day seminars where engagement and attention can wane (not to mention the cost of programs that pull employees out of their role all-day). Across the board, many learners prefer to work in small, focused sessions ranging from 15 to 30 minutes. Most digital methods should be seen as supplemental. They will not replace traditional training, where employees have the opportunity for in-person, relational engagement with peers and the chance to offer feedback in real-time. The most successful companies will have a mixture of both offerings. Influencing the mindset of leaders and learners, as it relates to workplace learning, is mission critical. The buy-in needs to ultimately come from the top from executive leaders to managers. It’s crucial that the organizational culture supports these L&D training and is truly invested in addressing personal development goals. Employees should weigh in and provide feedback on what trainings are most helpful and useful for growth and keep the L&D dialogues open and transparent. While L&D programs are changing – we in HR need to do more work around measuring the ROI and how L&D affects employee retention rates to company growth to recruitment efforts. We need to measure the impact of our efforts, to help justify the investments we hope to make. At AdRoll Group, we strongly believe in hiring great people and helping them grow – it’s even one of our core company values. Through our L&D efforts, in 2018, we saw an 85% retention rate for those who attended a training class. Your ROI could be even higher. It is our job to help shift employees and leaders to focus on the true bottom line. As reported by Udemy, over half of the employees would quit their job if training was not offered at all. Every company needs to carefully think about the right software tools and programs that make sense for their employees’ needs. As employees shift how they approach work, L&D programs also need to flex. And with 75% of long-term job success depending on soft skill mastery vs. 25% on technical skills, L&D programs are a way to teach employees new skills to help them further succeed inside and outside of work. Today’s workplace needs to offer L&D programs regardless of method. Organizations should be thinking about learning as an asset that will ultimately lead to a competitive advantage from their marketplace position to an organizational productivity view. L&D can and should be looked at and measured holistically for how it helps reduce employee turnover, eases recruitment challenges, improves productivity and boosts bottom-line revenue.